Both these Dental Plans have been very popular in Northern Virginia because they are affordable and provide access to quality dental services by top local dentists. 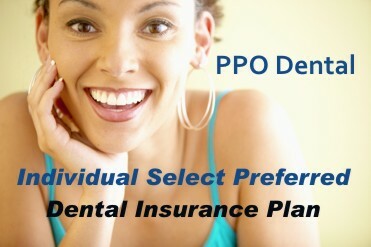 Included are preventive services to maintain optimal oral health and discounted rates for basic and major services. Please refer to the benefits brochure for each plan below. Please note that the ONLY way to apply is to Print and Fill Out the Application Form and Mail it along with the payment Check to the address indicated on the application Form. Your application must be received by the 24th day of the month in order to get the effective date of the 1st day of the next month. In-Network As a member you’ll receive 100 % coverage innetwork for preventive and diagnostic services. Individual Select Preferred combines the freedom to select any dentist from our large regional network with wide-ranging coverage of preventive and diagnostic dental services. The following are some of the services which are covered in full when visiting an in-network provider: - Examinations - Cleanings - X-rays - Sealants - Fluoride treatments for children Participating dentists accept 100 % of the Allowed Benefit* from CareFirst as payment in full for covered services. Out-of-Network You also have the option to seek routine preventive and diagnostic treatment from Non-Participating Providers. If you visit a Non-participating Provider, CareFirst will still pay the Allowed Benefit, but you will be responsible for the difference in cost between the CareFirst Allowed benefit and your dental provider’s full charge. Allowed Benefit*The Allowed Benefit is typically a reduced raterather than the actual charge. For example: Youhave just visited your dentist for a routine examand cleaning. The total charge for the visit comesto $125. If the doctor is a participating providerthey may be required to accept $75 from CareFirstas payment in full for the visit—this is the AllowedBenefit. If, however, the dental provider you visit isnon-participating then you may be heldresponsible for the difference between theCareFirst Allowed Benefit and the DentalProvider’s full charge. Limitations. A. Covered Dental Services must be performed by or under the supervision of a Dentist, within the scope of practice for which licensure or certification has been obtained. B. Benefits will be limited to standard procedures and will not be provided for personalized restorations or specialized techniques. Exclusions. Benefits will not be provided for: A. Additional fees charged for visits by a Dentist to the Member’s home, to a hospital, to a nursing home, or for office visits after the Dentist’s standard office hours. CareFirst shall provide the benefits for the dental service as if the visit was rendered in the Dentist’s office during normal office hours. B. Services not specifically listed in the Subscriber’s Agreement as a Covered Dental Service, even if Medically Necessary. C. Services or supplies that are related to an excluded service (even if those services or supplies would otherwise be covered services). D. Separate billings for dental care services or supplies furnished by an employee of a Dentist which are normally included in the Dentist’s charges and billed for by them. E. Telephone consultations, failure to keep a scheduled visit, completion of forms, or administrative services. F. Services or supplies that are Experimental or Investigational in nature. 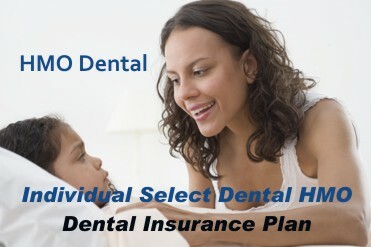 Services which cannot be performed in the dental office of the “Personal Participating DENTIST ”or“ Approved Specialist” due to the special needs or health related conditions of the Covered Individual and/or Dependent(s). OUT-OF-AREA EMERGENCY CARE: Covered Individuals and/or Dependents are covered for emergency dental treatment to alleviate acutepain, along with treatment arising from accidental injury or illness while temporarily more than fifty (50) miles from their “Personal ParticipatingDENTIST. ”Limited to $50 per Covered Individual or Dependent per emergency, minus member’scopay. -Once your application has been received and processed, your benefits will begin on the First Day of the following month.